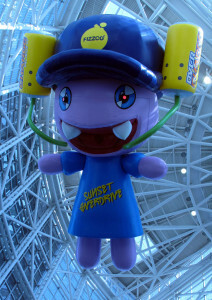 As I was crossing the floor of the vast South Hall lobby at the Los Angeles Convention Center, on my way to check out that hall’s tasty sampling of E3 goodness, I started hearing this strange voice. High-pitched, child-like, and creepy, I couldn’t figure out where it was coming from. But it was surprisingly loud, echoing even over the din of ceaseless foot traffic and chatter. I started to get really confused. I didn’t think it was talking to me, but I really wanted to pinpoint the source. I stopped in the act of snapping a picture of a poster for the new Gauntlet on PC (Valkyrie is about to die! !… but at least the Valkyrie in this arcade classic reboot is dying in an awesome outfit), turned on the spot, and hunted for the eerie voice. And that, of course, is completely spot on. 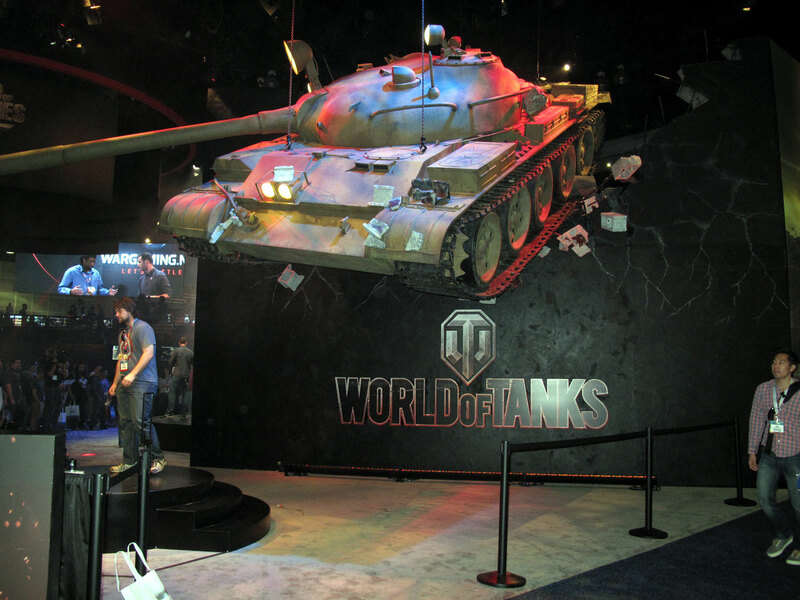 It’s E3, after all, and at its core that’s about marketing games to gamers. So while the bulbous omniscient watcher told me nothing at all about Sunset Overdrive as a game, it did succeed in two things. The first, to make me think that if the game shares this sense of humor, it might be worth checking out (and all indications are that it probably does). And the second, to give me a mood-setting opening to an article that otherwise can’t hope to capture the mood and spectacle of a larger-than-life E3 floor. This will be the third E3 I’ve attended, and the problem I’ve run into every time is that you just don’t have enough eyeball, ear, or foot capacity to take everything in, even over the course of two or three days. In the sensory overload of thousands of lights, sounds, and screens competing for your attention, it’s unfortunately very easy to miss things. So instead of trying to absorb everything (and inevitably failing), this year I set out with a mission: Find a few things to surprise me, a few things I’d never heard about before, a few things that I wasn’t expecting, and report on those. So while I could spend time talking about Assassin’s Creed or Battlefield or even Sunset Overdrive, I will allow that we can all easily find information on these big-title games, and instead share some of the things that surprised (and usually delighted) me. If I had to pick a theme for this year’s E3, it would be: verisimilitude. It seemed that the main focus, from games, to hardware, to the booths on display, was to blur the line between game and reality, to create an experience of full immersion. I knew that Project Morpheus would be on display at this E3. What I didn’t know was that Oculus would also be showing their virtual reality goggles, or that Virtuix would be showing their Omni treadmill for use with VR games. As one might expect, the wait times for some hands on with any of this hardware was pretty extreme, so I picked just one and chose to go with Oculus, since I learned a consumer model release of Oculus Rift has been confirmed for 2015, while Project Morpheus is still TBA. 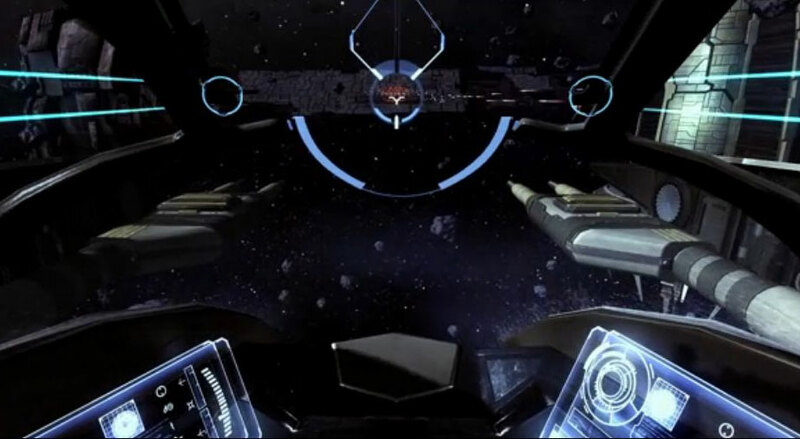 When I got my shot at test driving the Oculus, to my delight I was put (at random) in front of the space combat simulator EVE: Valkyrie. In the throes of affectionate flashbacks to Wing Commander and X-Wing (and lately Star Wars The Old Republic: Galactic Starfighter), I settled the goggles more comfortably on my face and prepped myself to become violently motion sick, and to love every minute of it. Fortunately, as someone whose game library has had to be unfortunately limited by how easily motion sick I become, I am happy to report that the makers of Oculus Rift, at least, have indeed managed to succeed at beating the motion sickness problem. While I did only have about ten minutes with the game, and I’m sure that both prolonged exposure and varying tolerances will prove that it’s not foolproof, I experienced not one moment of nausea or the stirrings of a headache. It takes a bit of adjusting to get the image in your goggles to come into sharp focus, and I can imagine that will be an ongoing problem if you get too excited about your head movements, but in general the images were pretty sharp. The 3D rendering was good, and although the color vibrancy wasn’t the greatest, I think these visual elements will probably see a quick pace of improvement now that developers are beginning to have the hardware to play with. What I found most interesting about the VR experience was confronting the habits of a lifetime of stationary visual entertainment. We have trained ourselves to sit still and look straight ahead to see our games and movies. When I wanted to look to the right I kept doing it first with the controller, purely on instinct. I had to repeatedly remind myself to move my head, but the rewards for doing so were awesome. Look up, and there were my cockpit controls; levers and buttons and lights within arm’s reach. Look right, and there was my starfighter’s wing and gun turret. Remember to track the enemy with your eyes and head as they do a flyby! As cool as it was, however, at the end of the day I was still sitting on a chair. But next to the Oculus Rift booth was the Virtuix Omni treadmill. Used in conjunction with an Oculus Rift headset, a harness, and a handheld laser gun, this one seemed to be offering the full immersion experience. I didn’t get to try it out, but watching people strapped in and going at it, I did find myself wondering if this was going to be the future of our gaming living rooms. Maybe the future of our exercise regimes too! Perhaps the only thing missing from that Oculus/Omni immersive experience would have been a set of GamesterGear’s headphones with their Bass Quake feature. 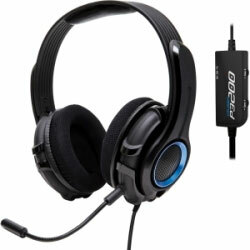 I gave these a try this E3 as well, and it was an interesting change to feel the vibrations of an explosion or gunfire coming not just through my controller, but through my headset, bleeding into my skull and into the sound effects of the game. 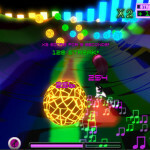 Even without a VR set up, Bass Quake carried the idea of immersion a step forward on its own. But you don’t have to be wearing clunky goggles to get that “like I’m really there” feeling. Playseat was showing what appeared to be their full line of gaming seats. Sure, you could go for a nice office chair version, but if you’re a racing game fan, why not go for the next best to the real thing? Fully reclined “cockpit” seats with pedals, steering wheels, and gear shifts are waiting for your gaming immersion. 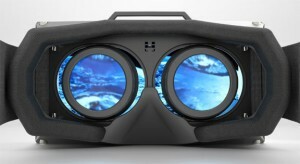 As soon as we can couple something like this with VR goggles (and I’m sure that’s already in the works), we’ll really have arrived. 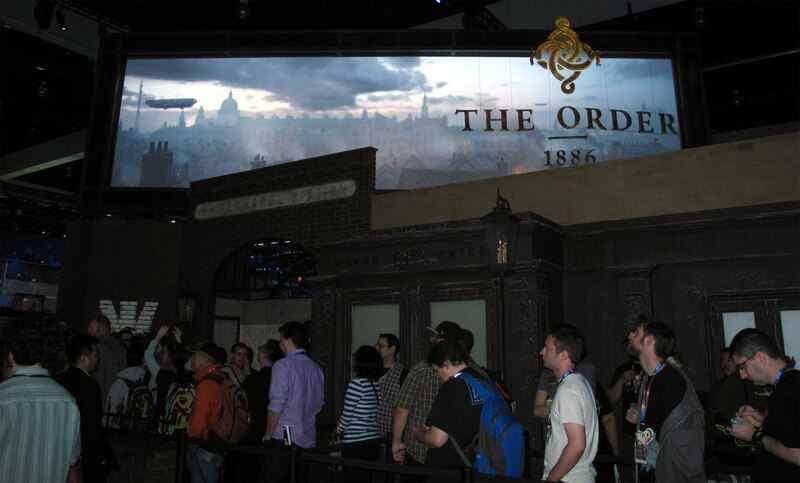 The first time I walked by the booth for Sony’s PS4 exclusive title The Order: 1886, I was struck by the Victorian pseudo-architecture of the booth’s facade. As I pressed by, looking for an attendant, I noticed the guy in costume pretending to stand guard, standing as still as a Buckingham Palace Guard while people snapped pictures of him. “Hey, a booth beefcake!” I thought with glee. But when I passed by the second time, and noticed just how close people were getting to his face as they snapped pictures, I began to wonder about his inhuman discipline. It was only after I’d taken a few more steps closer that I began to suspect he might not be real. And in fact, he wasn’t. This mannequin (if it can rightly be called that) was so realistic I almost couldn’t believe it. Down to the laugh lines around his eyes, the sheen of light sweat on his skin, and each strand of hair, he was as Virtual Reality as you could get. 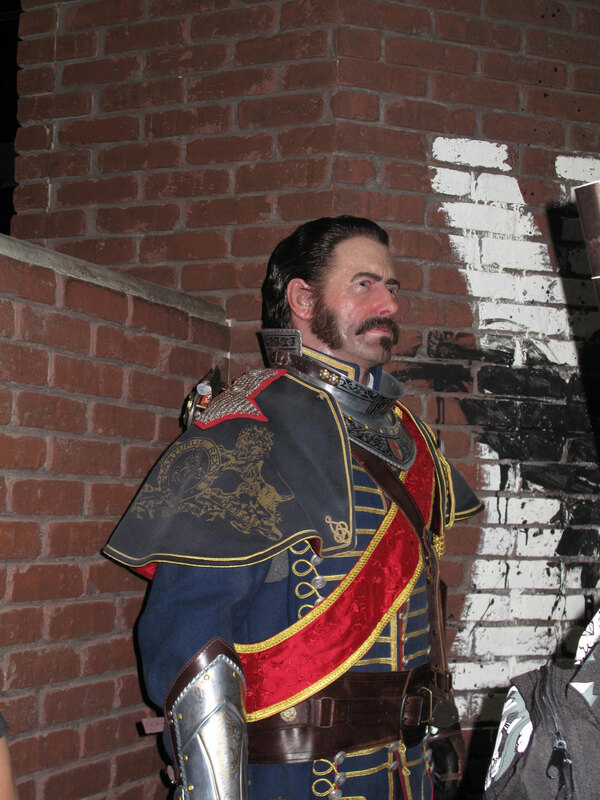 The actual game of The Order: 1886 might not achieve that level of verisimilitude, but that’s not for lack of trying. The demo for the game boasted some really stunning graphics, and given the potential of the setting it’s playing with, that’s a double treat. The Order: 1886 is a third person shooter, with a heavy emphasis on cover as a core mechanic. And after countless first and third person shooters on modern battlefields, or World War II battlefields, or future alien battlefields, it’s perhaps not surprising that in order to achieve something new in the shooter genre, developers seem to be turning now to something old. The Order: 1886 is set, unsurprisingly, in 1886 – but an alternate universe 1886, where beastmen have haunted humanity for centuries, and Arthur’s knights have passed their titles and duties down through the generations in the quest to hunt them down. If the idea of running around a graphically lush third person shooter in trench coats, gold braid, chain mail epaulets, and corsets really appeals to you, then you’re in for a treat. Throw in some over-powered and hyper-imaginative industrial-inspired weaponry and some beastmen, and you’ve got gold. If The Order: 1886 can deliver a story and an IP that packs as much punch as its marketing mannequins and its absolutely gorgeous demo, they’ll be a game to watch out for. Steampunk meets Dickens meets Bram Stoker, this one could possibly convince me to buy a PS4 (if I could get over the backwards compatibility issue). HUNT: Horrors of the Gilded Age. Here again, it was the Bram Stoker-ish art that caught my attention, this time painted on a booth wall. I went into this demo presentation with no idea what I was going to get, but I walked out pretty excited. 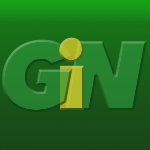 Here again developers are going back in time for something new. HUNT is also set in the late 1800s, but in this case hunting down voodoo monsters and horrors out of folklore through the Louisiana swamps. 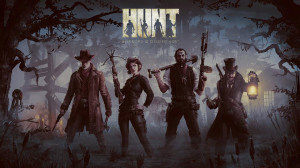 The first game to come out from Crytek USA, HUNT is a third person co-op action RPG. It’s going to be free to play on next gen consoles and PC. But don’t let the free to play label turn you off. The developers state their goal was to release a AAA title as free to play and see if that business model can work, and it looks like they’re going to make good on that promise. The gameplay demo we got to see was from the game’s pre alpha stage, but even so it boasted some great ambience. The third person perspective is nice and broad, allowing you to fully appreciate the character customizability which promises to be a big draw of the game. This was my first question after the demo, and the developers assured me that we’ll have huge freedom in customizing a character: gender, all details of appearance, outfits, weapons, voices. Let’s face it: playing paper dolls has become fun again, and playing paper dolls in a Lovecraft meets Doyle meets Voodoo setting sounds pretty damn cool to me. The gameplay itself also looks promising. With a lot of free-ranging, window-busting, shotgun loading and hatchet wielding action, I found myself immediately wanting to get in on the game myself. There’s a bit of survival horror to the game as well, which is not personally my cup of tea, but in this case is decidedly secondary to the action RPG elements, which makes it a nice spice rather than an overriding flavor. Characters will be able to level up skills as they progress, including eventually acquiring some supernatural abilities of your own after conquering innumerable horrors. Maps in HUNT are randomly generated, as are objectives, in the hope of providing a lot of replayability to the levels. This along with the character customizability sounds like a good recipe. But I was equally delighted by the little touches – like the creative respawn points. Die in HUNT, and your character might respawn inside a chained coffin, or strung upside down from a gibbet by cultists. Whether or not your friends can spare a moment from fighting off the possessed horde to cut you down is not entirely certain, so you may end up being treated to an upside down view of their grisly demise, unable to do anything but watch it unfold. I’m just masochistic enough to find that really amusing. HUNT: Horrors of the Gilded Age will be going into closed beta later this year, so if you’re interested in giving it a test drive swing by hunthegame.com and sign up. I left the demo already thinking of the three friends I could rope into partying up with me for HUNT. But surprisingly, given that I am only a casual co-op fan, this wasn’t the only co-op game at E3 I had this thought about. Over at the Bethesda booth, a new game and IP was announced as well: Battlecry. Another free to play co-op from a major studio, Battlecry is also reaching back a bit in time, although to an alternate universe World War I era. “A world without gunpowder” is the catch phrase for Battlecry, although this world without gunpowder has managed to produce some pretty fancy weapons, such as the explosive electricity bolts wielded by the Tech Archer class. 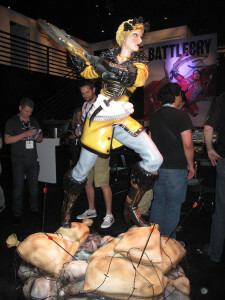 Where HUNT is trying for a more realistic visual approach, Battlecry is going for a more stylized “animated” look. With bold colors, huge swords, and vibrantly arcing blood spatters, Battlecry pits players up in 32 v 32 death matches. Action is fast and furious, with a handful of starting abilities for each class. You’ve got your bruisers, your rogues, and your ranged, and additional classes not covered in the demo deal with support roles. 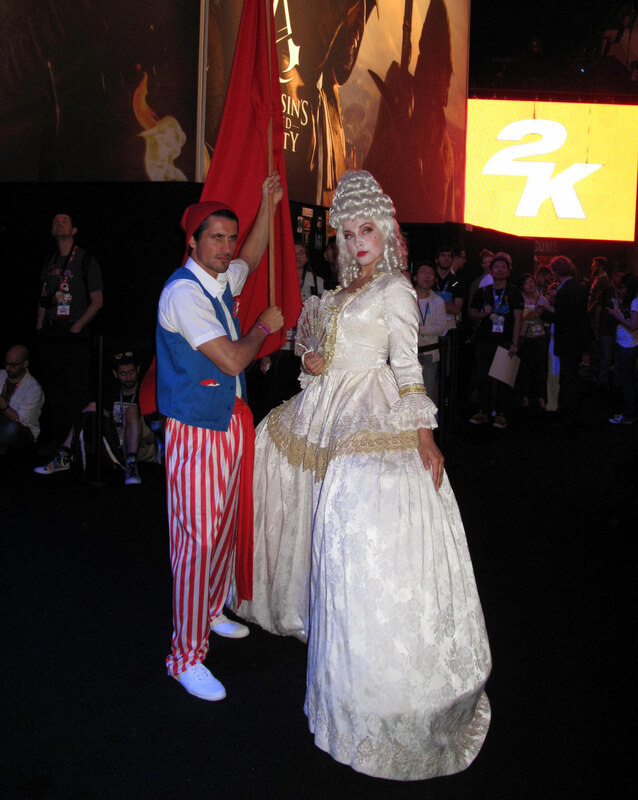 Battlecry isn’t about customizability, and it isn’t about creepy atmosphere. What it is, is straight-forward, frenetic, pvp bloodbath fun. The maps take a lot of inspiration from shooter maps, so there is a great deal of verticality to them, made easily accessible by magnetic-grapple stations scattered about the place which allow you to zoom through the air across gaps and over walls to a higher vantage point. On the surface, Battlecry seems simple, unambitious; pretty enough, but nothing extraordinary. However, the proof is in the pudding – and no matter what it may appear to be on the surface, what struck me the most was how much fun people were having. I had a good time myself, but I got an even better feel for the game’s potential after I finished my hands on and lingered a bit to observe others playing… and without fail people were laughing, hooting in triumph with total strangers at their side, or muttering imprecations and vows of revenge under their breath. Players were able to get into the game immediately, and were immediately enjoying themselves. I made a point to stop by the booth for Focus Home Entertainment this year, as I have in years past. I find that Focus, as a growing and developing studio, keeps putting out an interesting lineup. Their games are hit and miss, but there’s always potential, and their ratio of hits to misses is growing. While I was expecting to pay Focus a visit, I wasn’t entirely sure what I was going to get. I asked for some time with the latest game in their Sherlock Holmes series: Crime and Punishments. Having played their previous Holmes game I had a pretty good idea I’d like this one. But I also asked for some time with a game I knew nothing at all about: Styx, Master of Shadows. Here’s a bit of a rundown on both, because they both look promising. 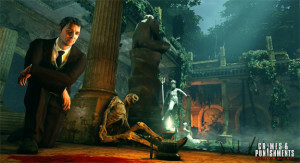 Whether or not you’ve played any of the previous games in Focus’s Sherlock Holmes series shouldn’t impact your ability enjoy Crime and Punishments, although if you did play the last game (Testament of Sherlock Holmes, 2012) you’ll be pleased to hear that Crime and Punishments promises to improve on that game significantly. Testament was a decent game, and I enjoyed it quite a bit, but based on the C&P demo I got to see I would feel comfortable recommending Crime and Punishments to a much wider audience than I would consider for Testament. 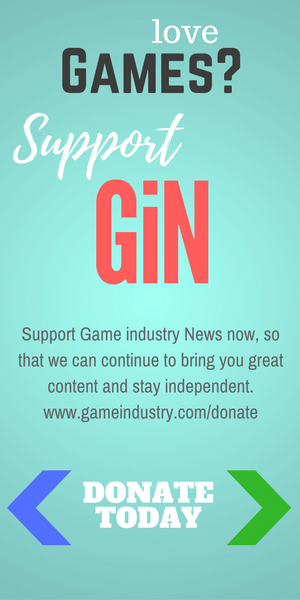 You could slot Crime and Punishments into a few different genres: puzzle game, investigation game, and even the old-school style “quest” game (if such a label is still valid). 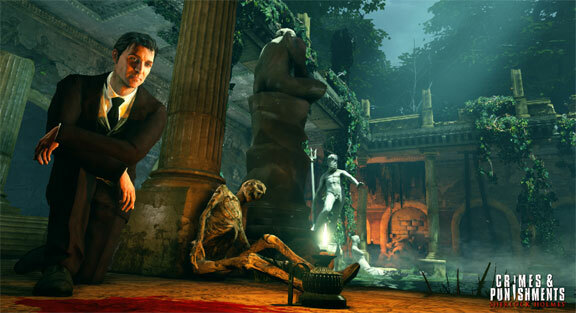 In Crime and Punishments you take on the role of Sherlock Holmes to solve six cases, each case taking about 3-4 gameplay hours to play through. To solve these cases, you will visit crime scenes, search the area for clues, question witnesses, follow leads to other crime scenes, solve puzzles in the environment, and take samples back to your chemistry kit at Baker Street for analysis. Some great improvements in Crime and Punishments from the last game include the ability to take a visual profile of witnesses before you question them, examining them for clues (expression, clothing, stance, fidgets) that will allow you to open up new lines of questioning based on your observations. Also, now you can further prepare for tackling your cases by playing out the classic Sherlock Holmes ability to be a “master of disguise” by prepping yourself at Baker Street with outfits, hair, accessories and etc. Perhaps the two most appealing aspects of Crime and Punishments are the improved Deduction system, and the case resolution mechanic. In Testament, while you had a “Deduction Board” in your journal which allowed you to piece together your clues to form a conclusion, this wasn’t as free form as I would have liked since if you didn’t pair up the correct clues, it was clearly indicated that your choice was wrong, and therefore it was just a matter of rearranging clues until it all clicked green. But in Crime and Punishments, the Deduction Board is now a neuron-pathwayed “Deduction Space” in which you have full freedom to arrange those clues incorrectly, come to a conclusion about them, and choose to condemn potentially the wrong man entirely, with no indication from the game that you might be wrong. For me, this is a huge draw. After all, why take on the role of Sherlock Holmes if I can’t challenge myself to really think about the case? The freedom to potentially condemn the wrong man is the key to Crime and Punishments; you are judge, jury, and executioner this time around, and it’s only when the case is fully resolved and you’re in the wrap-up screen that you have the option to ask the game whether or not your guess was right. You can then choose to replay the case, or you can accept your choice and move on – with the promise that there may be consequences in unexpected ways in later cases. Crime and Punishments will be out in September 2014, on PS3, PS4, Xbox One and 360. Later in the same day I was treated to a gameplay demo of Styx, Master of Shadows. Set in the same universe as Of Orcs and Men, which had the original idea of putting the player in the role of an Orc persecuted by heroically garbed knights, Master of Shadows follows suit by putting you in the role of Styx, a goblin. As the title might imply, Styx Master of Shadows is a stealth game, with some RPG aspects (such as skill trees you can progress through). Styx is trying to steal a magical artifact important to the survival of his people from the humans who have built a fortress around it for its safeguarding. From the dungeon levels of this massive fortress up to its towering spires, Styx will need to proceed with stealth and cunning. At his command he has some trusty daggers, and a very interesting array of abilities and tools. If, while perched, hidden, on the battlements, Styx notices that the guard patrol is stopping by a watering bucket, he can sneak down and poison the water to take out the next patrol to come by. Or, if he’s looking for something a bit less prosaic, he can also puke up a magical clone of himself – the player can then alternate between controlling Styx and his doppelganger, and use the clone to distract guards, briefly lock them in grapple, or lure them into an area set up for a trap which can be sprung by Styx Prime in a perch overhead by the bundle of cargo crates about to be dropped. The environments in Styx looked promising. The graphics weren’t busting any barriers, but they were solid, and most important of all the levels looked expansive and creatively varied in their terrain and options. 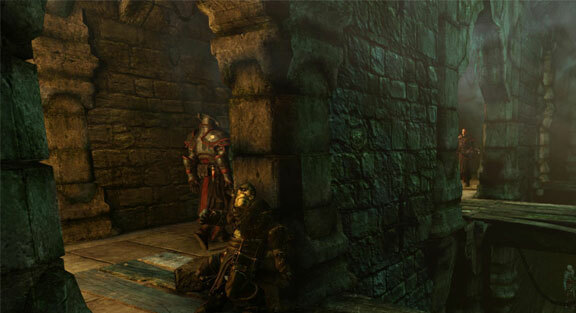 Each level of the stronghold in Master of Shadows is its own mission, and once completed it can be unlocked for replays with additional challenges. But visually, what I liked the most about the demo was Styx himself. He has a good character design, and the character animations were great – goblinish loping, twisting, and leaping that differentiated Styx from any other sleek, dexterous, and heroic badass you might see in most stealth games. While a few particular combat moves felt very familiar (there was a hanging execution move that felt like it was straight out of Assassin’s Creed), it’s a pretty safe bet you haven’t seen many combat moves involving launching your small, bumpy body at a guard’s head and wrapping him up like an alien face-hugger until he cries uncle. If you’re a stealth game fan, and you’re looking for a different flavor, I recommend giving Styx Master of Shadows a try when it comes out later this year (PS3, 360, PC). If you’re not a huge stealth game fan, but you enjoy a good fantasy setting and had a fun time with Assassin’s Creed or similar games, you also might want to give Styx a try. In the end, whether it’s a game everyone’s heard about or a game coming out of left field, the great thing about E3 is that it always produces something to look forward to. 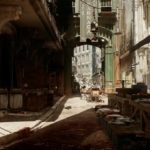 This year it was the promise of the future in the form of up and coming Virtual Reality, as well as the lure of the past in quite a few period themed games. Sometimes digging into the more obscure corners of the show floor (if anything at E3 can be called be obscure) yields some gems. Hopefully some of these gems pique others’ interest as much as they piqued my own!